If you want to be a successful blogger, avoid the following mistakes and create something that others really love to read. Background Music is the most complicated thing for a blog or website. You can give the option to turn the music on and off instead of auto play background music files in your blog. Screen size width is the most important component for blog, be sure that you have designed your blog/ site for different screen resolutions and test it well because you can’t assume that your visitors are viewing it at same screen. Horizontal scrolling puts serious impact on visitor’s mind and considers as a worst thing for blogs. 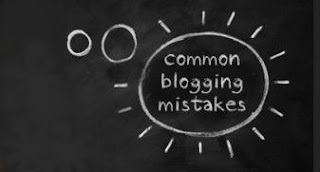 So, make a blog for your visitors not for yourself. Add Alt text description with the images of your blog because the spider bots are not familiar with visual content of blog. Mostly, people disable the right click option on their blog to protect their images and text. It reduces the reader’s interest so it is better to keep the right click option enabled. Display of your blog may vary so it is better to check it in different browsers. You can visit Browsershots.org; it’s free service that provides screenshots on different browsers. Enter your URL click the option “Generate Screenshots” and observe the difference. People publish so many ads on their blogs which reduces the speed of loading and shakes the reader’s interest. So keep the number of ads limited perhaps just two or three ads per post. Majority bloggers are keen to decorate their blog and sometimes a complex design with a lot of features puts extra burden on blog which slows down its loading time. The bigger images also have same affect so, be careful about your blog design and size of the images. Copyright issues can put you in trouble. Always write fresh content for your blog and also make sure the images you use are not copyrighted. If you purchase copyrighted material then get written permission from the owner. Hotlinking is the term where you link an image to somewhere else than the saving and uploading it to your blog. Avoid it because this way you utilize the bandwidth of the other website which doesn’t cost you anything but the other website that you are thieving the bandwidth from. Title of post is an important component of blogging and according to the modern search trends it should match the readers’ viewpoint. Use keyword in your post’s title or follow the Overture Keyword Popularity Tool to access proper search terms for your blog. To improve your blogging skills, get connected with blogging community, blogger forums and bloggers’ talk platforms.